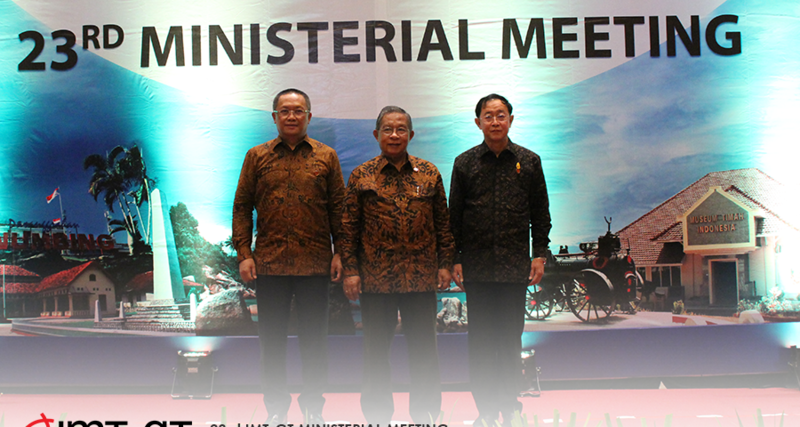 BANGKA BELITUNG, INDONESIA, 29th SEPTEMBER 2017 – The Meeting was chaired by His Excellency Darmin Nasution, Coordinating Minister for Economic Affairs, Republic of Indonesia and attended by His Excellency Datuk Abdul Rahman Dahlan, IMT-GT Signing Minister & Minister in the Prime Minister’s Department Malaysia, His Excellency Arkhom Termpittayapaisith IMT-GT Signing Minister & Minister of Transport, Kingdom of Thailand. 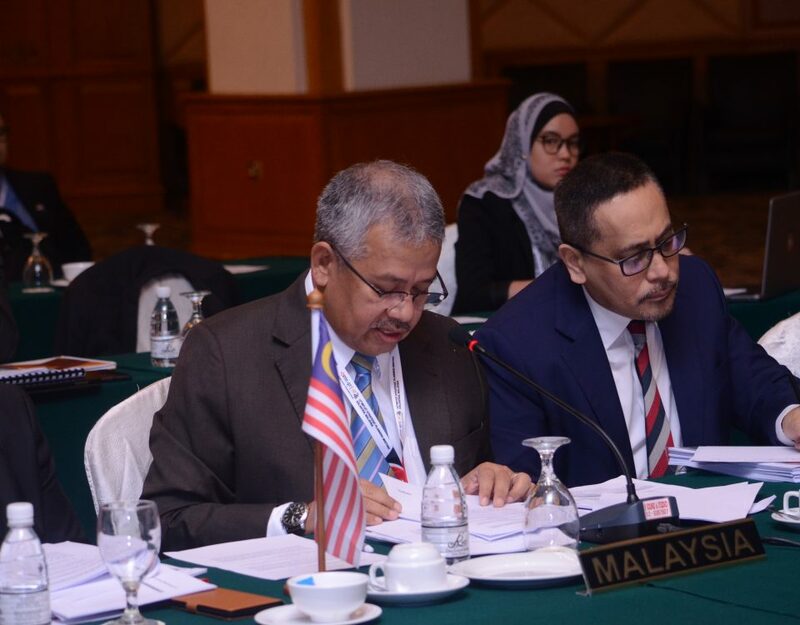 The Meeting was also attended by representatives from the Asian Development Bank (ADB), ASEAN Secretariat (ASEC) and Centre for Indonesia-Malaysia-Thailand Subregional Cooperation (CIMT). The Meeting demonstrated a close working relationship between the three Ministers for their determination at strengthening the subregional cooperation between each country. The 23rd Ministerial Meeting is well guided by a strategic document named Vision 2036 that administers the Ministers in carrying out the leaders’ directives. To achieve an integrated, innovative, inclusive and sustainable subregion the meeting oversees a tangible key performance indicators that are projected to see IMT-GT’s real GDP increase to US$694 billion by 2036, from US$215 billion in 2014; GDP per capita increase to US$32,120, from US$13,844 in 2015; intra-IMT-GT trade rise to 28% of total IMT trade from 9.2% in 2015; FDI inflows increase to US$24 billion from average of US$ 8 billion per annum recorded in the period of 2011-2015; average annual international visitor arrivals increase to 109 million persons from 39 million in 2015; 400 cross-border projects implemented by 2036 with direct Micro, Small and Medium Enterprises and social enterprises’ participation and at least 40 cities in IMT-GT are expected to implement Green Cities Action Plan. Impressively, IMT-GT will be implementing a total of US$47 billion worth of physical connectivity projects to enhance physical connectivity across IMT-GT under IB 2017-2021 and subsequent IBs. These projects encompass the construction and upgrading of roads, bridges, seaports, airports, CIQ facilities and ICT infrastructure. The connectivity projects once completed are expected to bring about greater cross-border trade, the proliferation of production networks across the subregion, and freer movement of goods and people. Tourism is the key to vast economic proliferation. In that endeavour, IMT-GT is supported by ADB for establishing a Tourism Strategic Framework. This initiative underscores the Tourism pillar in IMT-GT to appear as a major focus of the cooperation. Tourism has cross-cutting relationships with other sectors vested under IMT-GT, and this highlights the gigantic potential of tourist destination in the subregion travel freely. The framework would guide the cooperation in being more inclusive, sustainable and competitive and enthuse an increase in revenues in the tourism sector, therefore, reflecting on increased employability in the IMT-GT region. To foster Tourism, Trade, and Investment, IMT-GT overlooks air connectivity routes that link about 40 domestic and 18 International areas. IMT-GT is determined to unlocking the potentials behind air connectivity activities between these three countries in unleashing an average annual international visitor arrivals to rose up to 109 million persons by the year 2036, this initiative will attract business investment, human capital and also spur the tourism sector, which is vital to many countries’ economic prosperity. University Network or UNINET denotes an alliance between Universities from the three countries with the cooperation. This program has successfully established and endorsed its UNINET Strategic Action Plan (USAP) to demonstrate readiness at playing a strategic role in leveraging social and economic development in the subregion and to project leadership at protruding innovativeness and knowledge-based ideas to IMT-GT stakeholders. Presently, the UNINET program stands-out remarkably with the pledge of 23 public universities recently affirmed at the Syiah Kuala University, Banda Acheh, Indonesia on 23rd May 2017. Crucially, the Ministers believe that UNINET can show leadership in promoting people-to-people connectivity in the subregion that will work towards building a knowledge-based community with lifelong learning opportunities and cultural exchange. This is a key strategy that will go a long way to ensure that growth is inclusive. 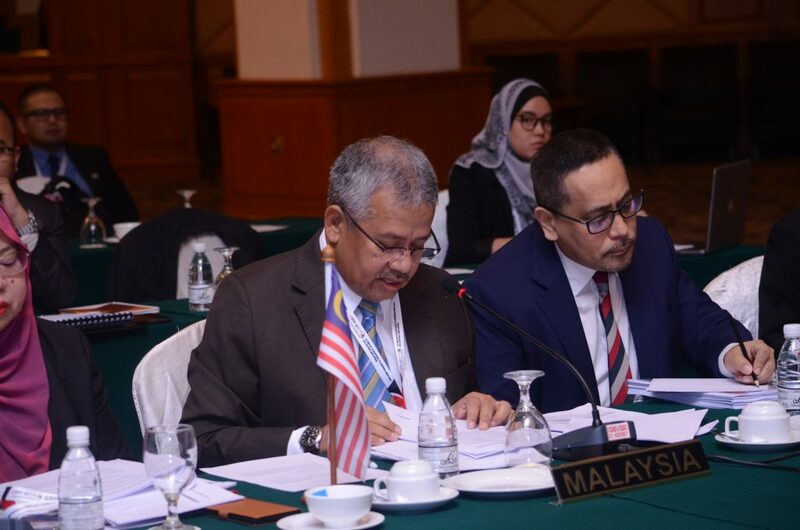 A key reason for IMT-GT success in recent years has been its ability to foster strong relationships with regional development partners like the Asian Development Bank and the ASEAN Secretariat. This will continue as IMT-GT expects to intensify its collaboration with this organisation further at both an organizational and operational level to ensure a synergistic relationship and to benefit from their experience and technical support. These are certainly exciting times for IMT-GT. This subregional cooperation has demonstrated its strength and resilience to global challenges, has accomplished tangible economic and social success in recent years and through the adoption of the Vision 2036 and IB 2017-2021 is now set with a clear strategic direction and roadmap to transform IMT-GT into a highly integrated, innovative, inclusive and sustainable subregion by 2036.